Target active Soundcloud users with your email marketing. Fast, easy and for an unbeatable price! Buy Soundcloud targeted email contacts and ramp up your promotion. (For even more music industry email lists, don't forget to also take a look at our daughter company DemoPoolBase). Ready to rock Soundcloud marketing? 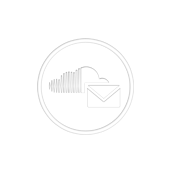 Then go on and order this updated email list of Soundcloud users – future subscribers for your music email marketing campaigns and EDM promotion ventures. Get 4,000 Soundcloud in record time and unlock new loyal target subscribers. This package is part of our highly specialized professional Soundcloud promotion portfolio. Interested in other Soundcloud promotion services? Check out our Soundcloud marketing page and buy Soundcloud followers, reposts, favorites in a multitude of friendly packages. Or maybe you're into even more music marketing email lists? In that case, visit DemoPoolBase, our brand new service that'll take care of your every music email promotion need.